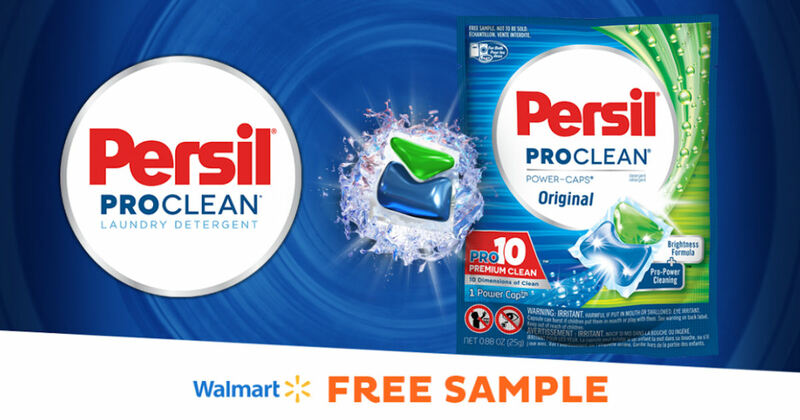 Walmart shoppers can grab free samples of Persil ProClean Power-Caps Original Laundry Detergent with Freeosk! There are 2 ways to redeem for yours! Download the app and scan it at the Freeosk for your free sample! OR text FREEME to 51697. They'll text back a 12-digit code that you'll type using the keypad on the Freeosk to get your free sample! Valid at participating Walmart stores.